Oregano oil is made by air-drying the leaves and shoots of the plant. Once they are dried, the oil is extracted and concentrated by steam distillation. These compounds are thought to underlie oregano's many health benefits. * Anti-bacterial: Oregano oil and the carvacrol it contains may help fight bacteria. Staphylococcus aureus bacteria are one of the most common causes of infection. They cause ailments including food poisoning and skin infections. One particular study looked at whether oregano oil improved the survival of mice infected with Staphylococcus aureus. 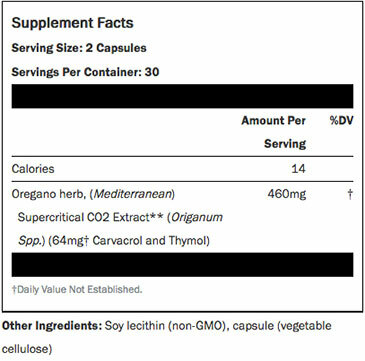 Six out of 14 (43%) of the mice given oregano oil lived past 30 days, a survival rate nearly as high as the 7 out of 14 (50%) survival rate for mice that received regular antibiotics. Research has also shown that oregano oil may be effective against types of bacteria that can become resistant to antibiotics. This includes Pseudomonas aeruginosa and E. coli, both of which are common causes of urinary tract and respiratory tract infections. * Oregano oil has been shown to lower cholesterol in studies of people and mice with high cholesterol. This is thought to be the result of the compounds carvacrol and thymol. * Fresh oregano has a very high antioxidant content that is much higher than that of most fruits and vegetables, gram per gram. The antioxidant content is concentrated in oregano oil. 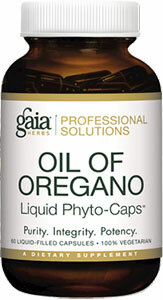 * In test-tube studies, oregano oil has been shown to be effective against the most common form of yeast, Candida. * Oregano oil may benefit gut health by killing gut parasites and protecting against a leaky gut. * Preliminary studies have shown that the most abundant compound in oregano oil, carvacrol, inhibits cancer cell growth and causes cell death in lung, liver and breast cancer cells.